Harbro Amply Cut Chausable is soft, fully machine washable, wrinkle resistant polyester chasuble. 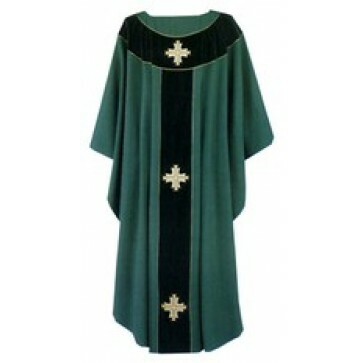 Vestments are a full 60" wide and 52" long. Matching lined undersole is included. Available in off-white, red, green and purple, please select color when ordering.